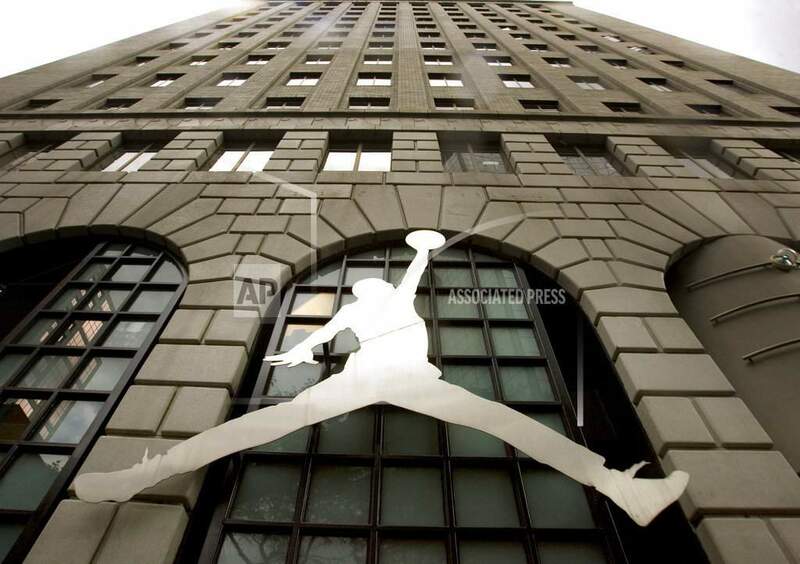 Associated Press: In this Sept. 29, 2009 file photo, the famous Nike Michael Jordan image graces the front of the Niketown store in downtown Portland, Ore. Basketball legend Michael Jordan is not leaving the Nike Inc. board , on which he never has sat, said Mitch Germann, a spokesman for Jordan Brand, which Nike owns. THE FACTS: Basketball legend Michael Jordan is not leaving the Nike Inc. board and his namesake brand, the Air Jordan sneaker, remains with the shoe and apparel company. Jordan has never been a member of the company's board, said Mitch Germann, a spokesman for Jordan Brand, which Nike owns. And, although Jordan has played a significant role with the brand, which includes the Air Jordan shoes, the division is owned by the company -- not Jordan. The false claim, which originated on an online satire site, began circulating widely after Nike's launch of a new ad campaign featuring former San Francisco 49ers quarterback Colin Kaepernick. Kaepernick became the face of national protests against police brutality when he began kneeling during the National Anthem before NFL games in 2016. The site that originated the post, America's Last Line of Defense, a site that labels itself as satire, acknowledged posting the item. The post was shared tens of thousands of times across social media and picked up by sites as news. THE FACTS: A Rochester, N.Y., man has not been arrested after burning down his house attempting to set fire to a pair of Nike sneakers in his garage, despite reports circulating online. The reports, which said the man was protesting Nike's new ad campaign featuring Kaepernick, was carried on at least two false news sites, one made to look like USA Today and the other Fox News. Jessica Alaimo, press officer for the city, said the stories were false, noting that Rochester did not have a police officer named Don Greenstein, as mentioned in the article. The story was also carried on Huzlers, a satire site, which said the fire occurred in Florida.